Omihachiman is overlooked by almost all non-Japanese traveling to the Kansai region. Located only one hour by train from Osaka Station or 40 minutes from Kyoto Station, the town has a lot to offer without the crowds of its more famous neighbors. In the 16th century, Hidetsugu Toyotomi (nephew of the powerful daimyo Hideyoshi Toyotomi) constructed a castle and due to his initiatives, a thriving commercial town grew up around it. 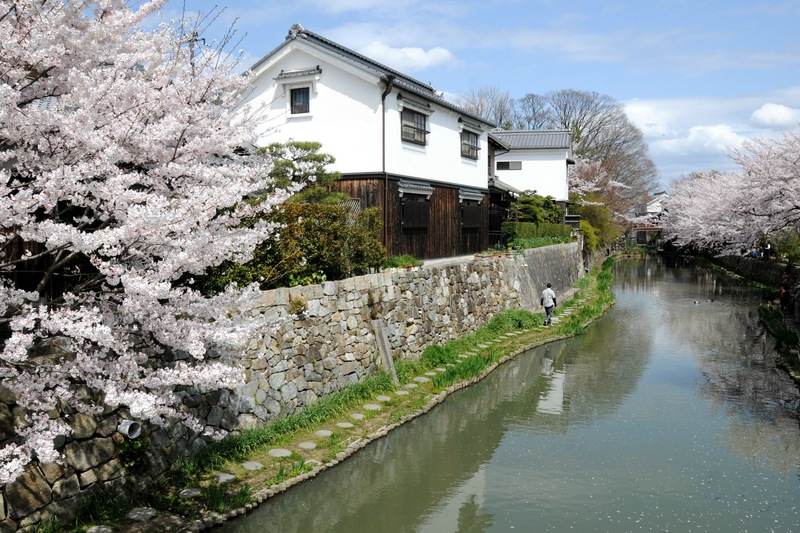 The town’s famous Hachiman-bori (canal) was a hub for the transport of goods and services to Kyoto. Travel back in time and spend a day (or weekend) wandering around Omihachiman’s beautifully preserved historic merchant district and surrounding sightseeing spots. 1. 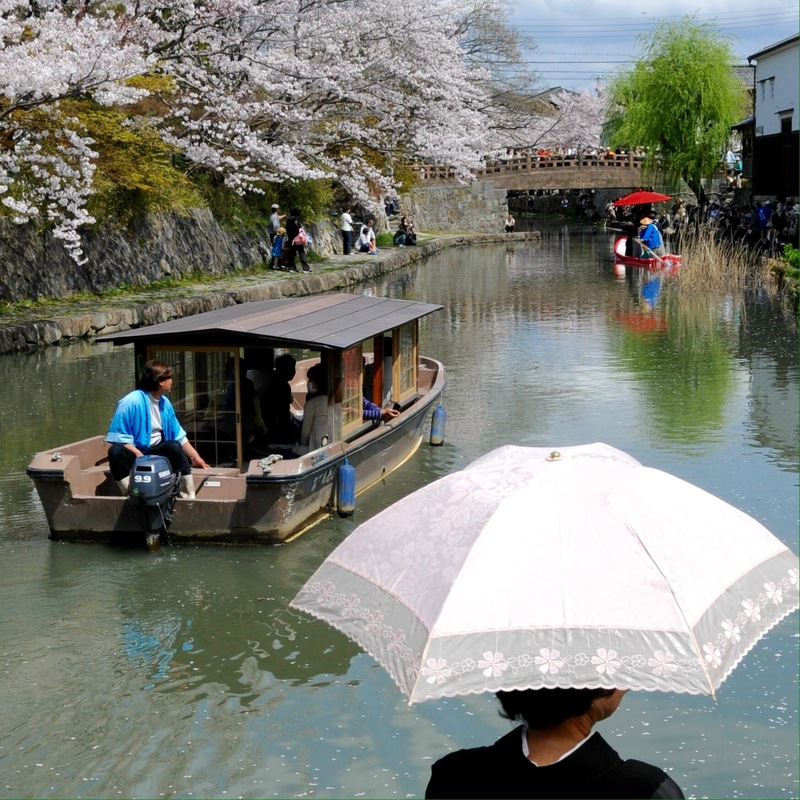 The ‘heart’ of Omihachiman is HACHIMAN-BORI, the gorgeous canal lined with white-walled kura (storehouses) and other traditional structures. Walk above the canal or right along the edge of the water. There are also leisurely 1000 yen wooden boat rides along the canal. While there, if you are really lucky, perhaps you’ll catch a bride and groom floating by. 2. 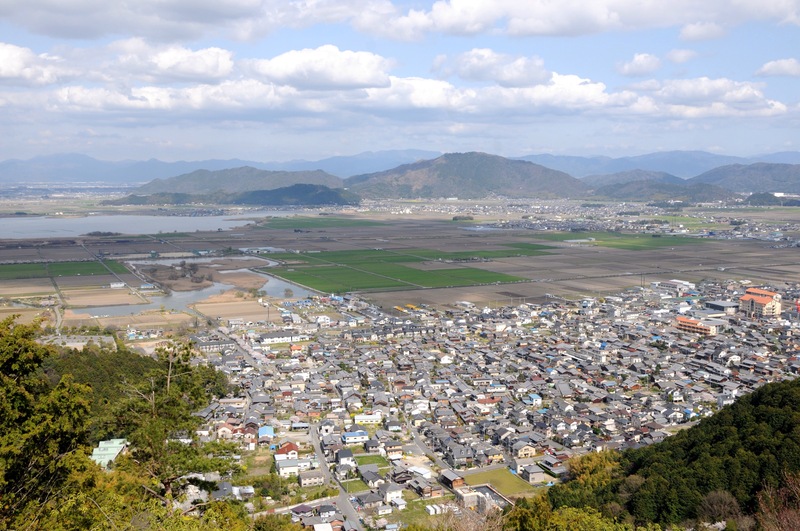 Travel up the HACHIMANYAMA ROPEWAY for impressive views of Omihachiman and the surrounding countryside. Interestingly enough, the summit is considered a ‘satellite lover’s sanctuary’ and is a recommended spot for men to propose. 3. 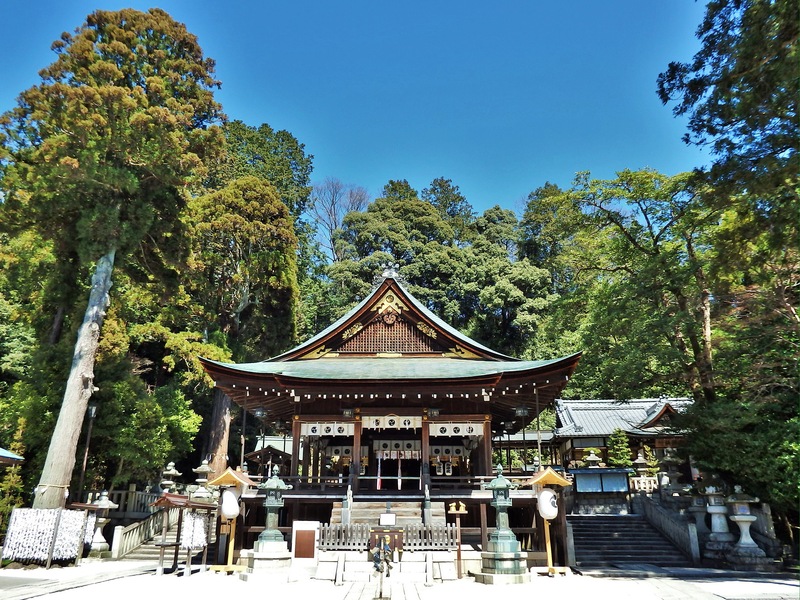 Previously at the top of Hachimanyama, HIMURE HACHIMANGU was moved in 1590 to its base near the canal. Although always lovely, the shrine is best visited during either its March’s Sagicho Matsuri or April’s Hachiman Matsuri. 4. Within the grounds of Himure Hachimangu is TANEYA, a Japanese confectionery dating back to 1872. Sample Japanese treats in the traditional building on the right, or enjoy Western sweets at Club Harie’s Himure Cafe, in a red brick building on the left. A fifteen minute walk or short bus ride from the center of the historic district is LA COLLINA, Taneya’s flagship store. Opened in January 2015, the complex contains a number of sweet shops, both Japanese & Western, a bakery, a cafe, and an outdoor ‘food stall’ area – all set in a natural ‘fairytale’ environment. The baumkuchen is especially delicious here. 5. Just across the canal from Taneya is the Hakuunkan, a tourist information center and gallery. It is just one of many lovely WESTERN-STYLE BUILDINGS in Omihachiman designed by William Merrill Vories. 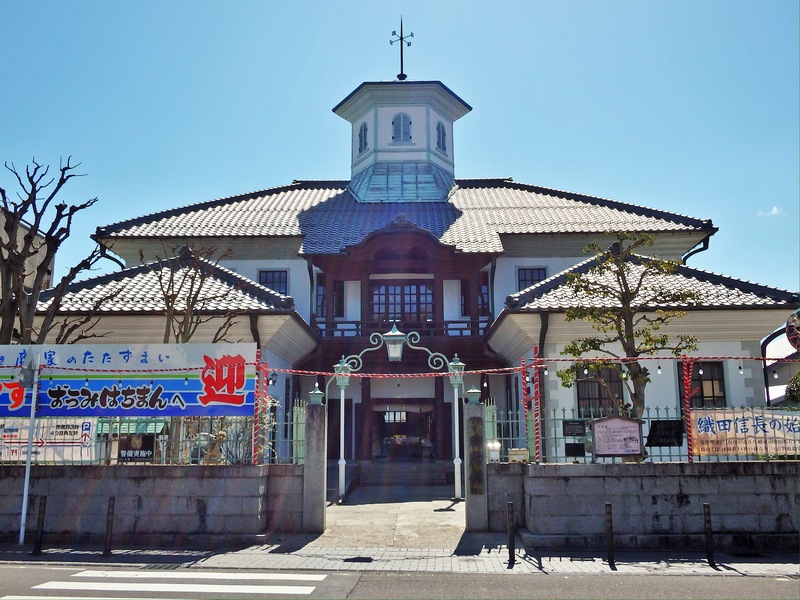 If you forgot to pick up a map at Omihachiman Station, be sure to stop in this school building dating back to 1871. *William Merrill Vories, an American architect, took an English teaching job in Omihachiman in 1905. He taught for two years and then spent the rest of his life in the city: designing buildings (1,600 around the country), introducing Western education practices, and modernizing medicine – including the importing of Metholatum. He also built the Omi Sanatorium to care for previously untreatable patients with tuberculosis. His positive influence can be seen throughout the city. 6. The ISHIDATAMI-NO-KOMICHI COMPLEX sits just across the canal from Taneya and Himure Hachimangu. 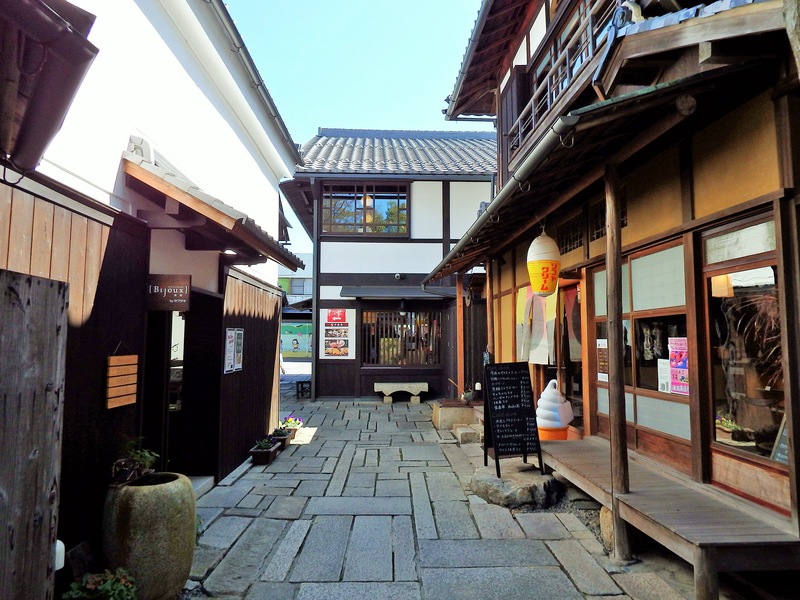 It is a collection of unique shops and cafes in traditional Japanese structures. Ateleir Ai sells accessories and clothing made of natural materials that are dyed with indigo, green tea, persimmons, sumi ink, etc. Bijoux’s specialty is rare wood bead jewelry. Relax over a cup of tea at Cafe Amana, snack on a delicious Omi beef croquette from Sennaritei, etc. There are countless other wonderful shops, cafes, galleries, and restaurants throughout the historic district. 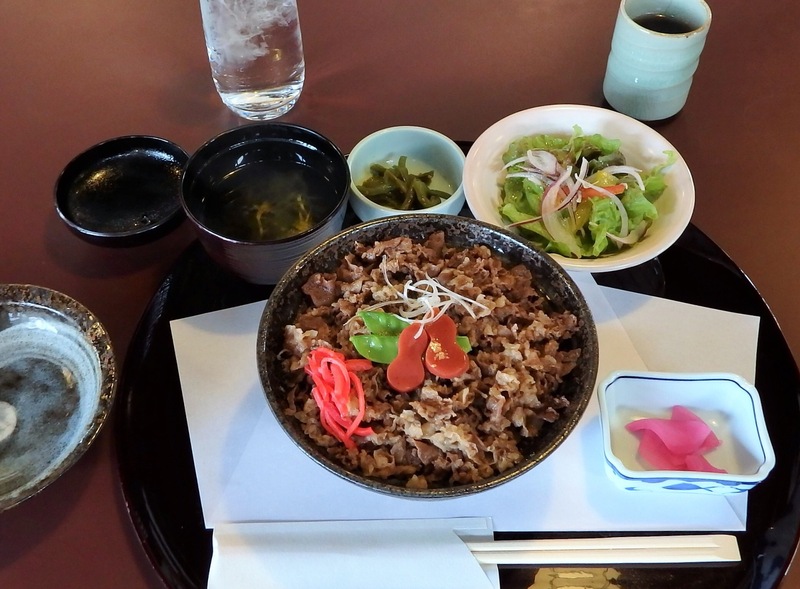 Many of the dining establishments serve their own delicious dishes containing famous Omi beef. 7. 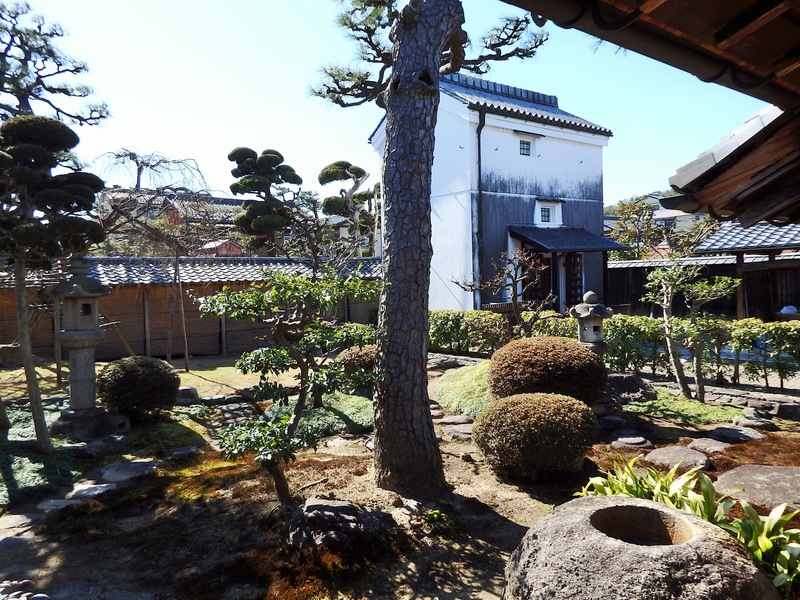 The OMIHACHIMAN CITY MUSEUM (Shiritsu Shiryokan) is a collection of four different structures. 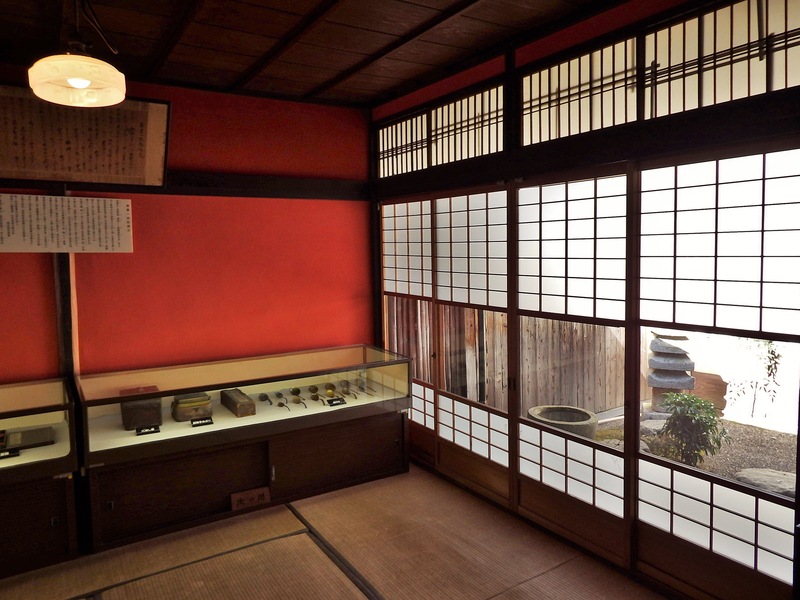 Two are homes of merchants – rare examples of how rural wealthy lived; the other two display items related to the history and folklore of Omihachiman. Prepare to spend a considerable amount of time exploring all of them. 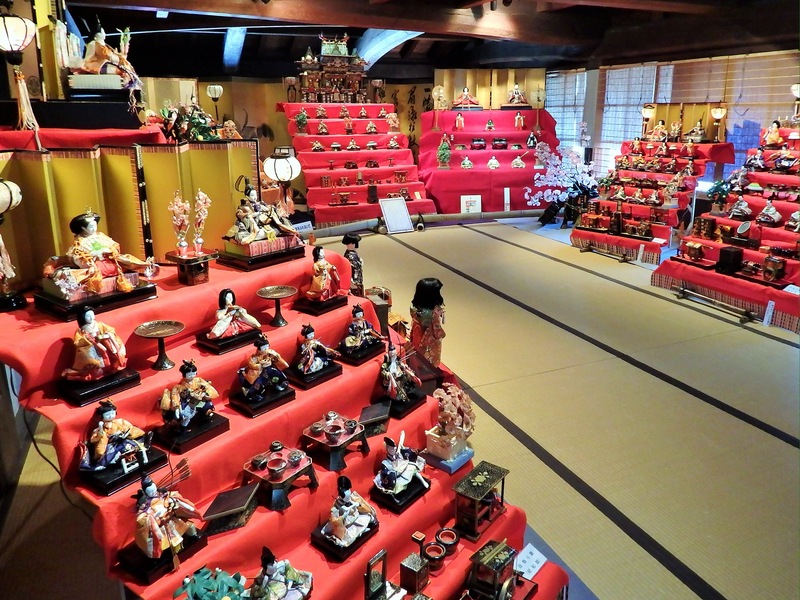 The Hina doll matsuri display in Feb/Mar is especially impressive. 8. The museum NO-MA was founded in 2004 and is devoted to spreading the concept of ‘borderless art’. It is housed in a lovely 100 year old building and sponsors a variety of art projects aimed at revitalizing Omihachiman. 9. 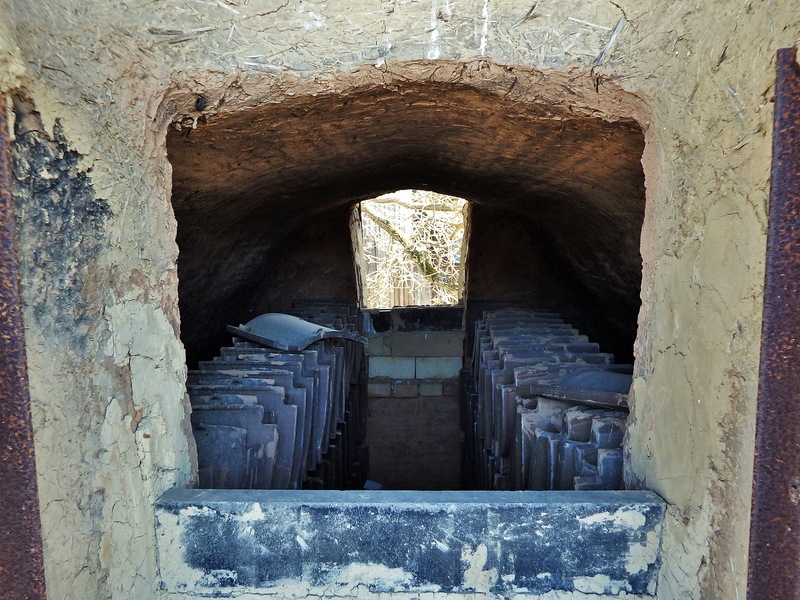 The KAWARA MUSEUM sits on the remains of a roof tile factory along the edge of Hachiman-bori. 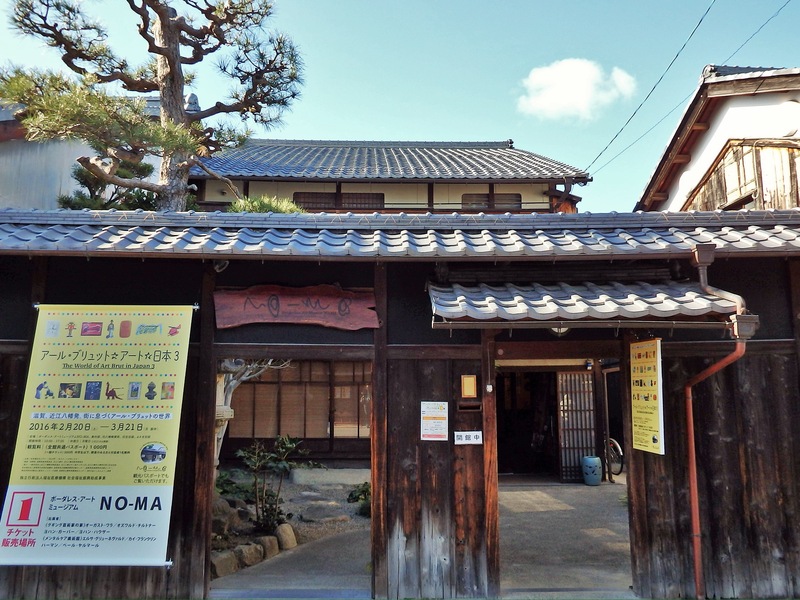 The museum consists of 10 different buildings showing the history of tile making in Omihachiman, tiles from around Japan & the world, etc. 10. SUIGO MEGURI: Not far from La Collina is an extensive march and small lake, Sainoko. 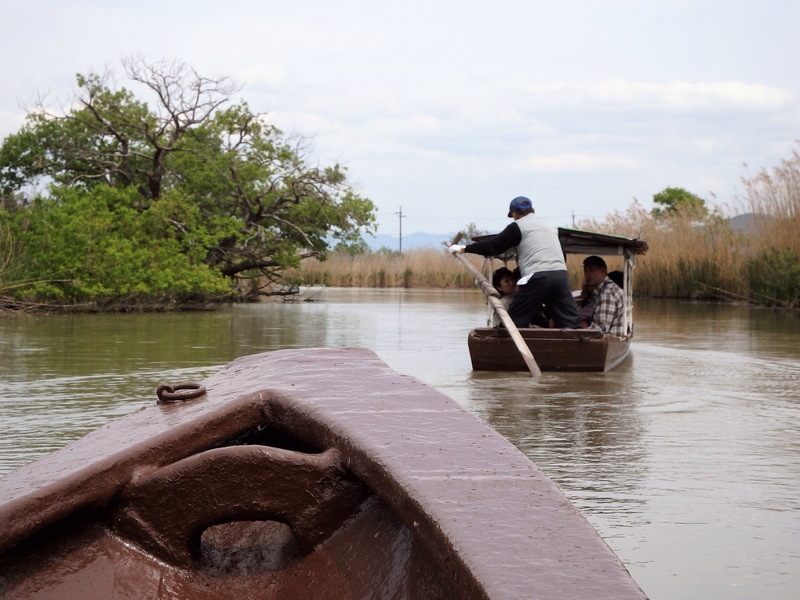 From April to November, tourists can travel through these protected wetlands on small wooden boats. 40 minutes from Kyoto Station, or 60 minutes from Osak Station, to Omi-Hachiman Station. 160 minutes from Tokyo Station, with two (easy) train changes in Nagoya & Maibara. 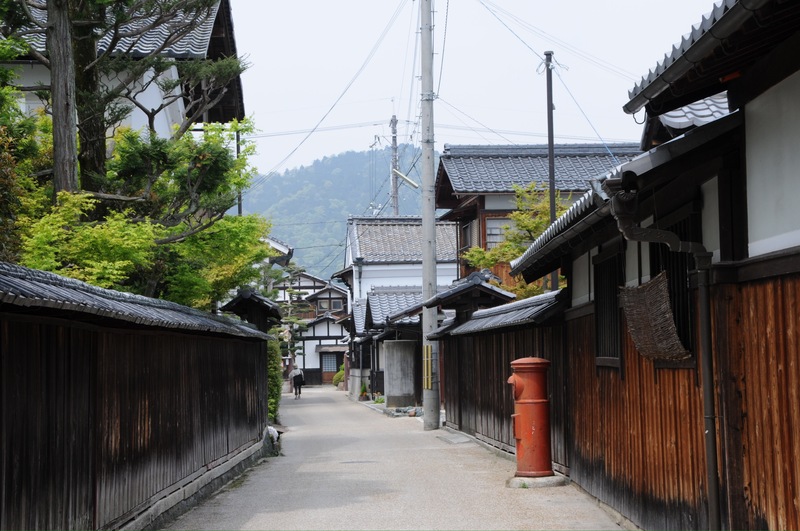 From Omihachiman Station, take an 8 minute ride by bus or taxi to the historic district. It is also possible to walk (30 minutes straight out from the station) or rent a bicycle (a great way to get around as the area is almost completely flat). 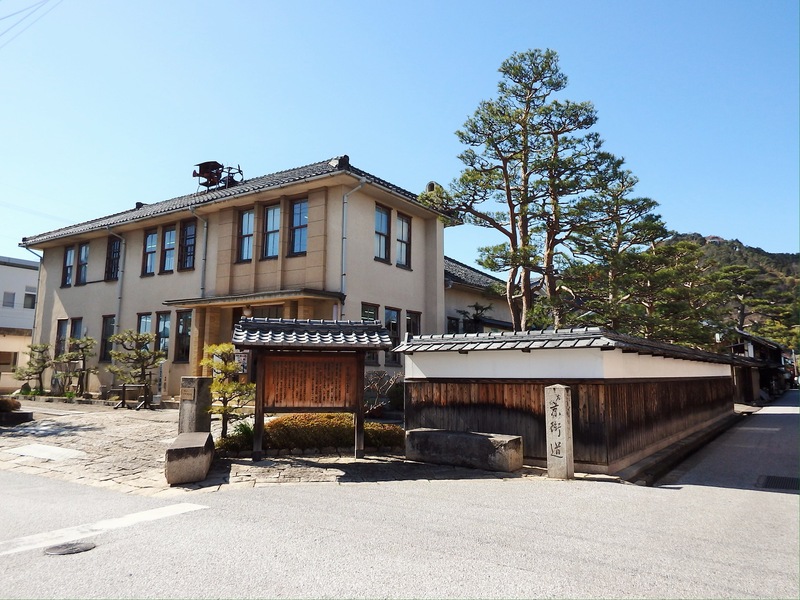 Kyukamura Omihachiman is the only resort-style onsen hotel in the area. It overlooks Lake Biwa and is 30 minutes by shuttle bus from the station. There are offer campgrounds. The best hotel close to the historic district & station is the Hotel New Omi, followed by the Comfort Inn Omihachiman, and Green Hotel Yes Ohmihachiman. For a more traditional experience, stay at the Machiya Inn, located within the historic district itself. The Guest House En is also nice, but is 3 kilometers from the district (however, they do have rental bicycles and a bus stop nearby). The Little Birds Hostel is a great choice for backpackers. 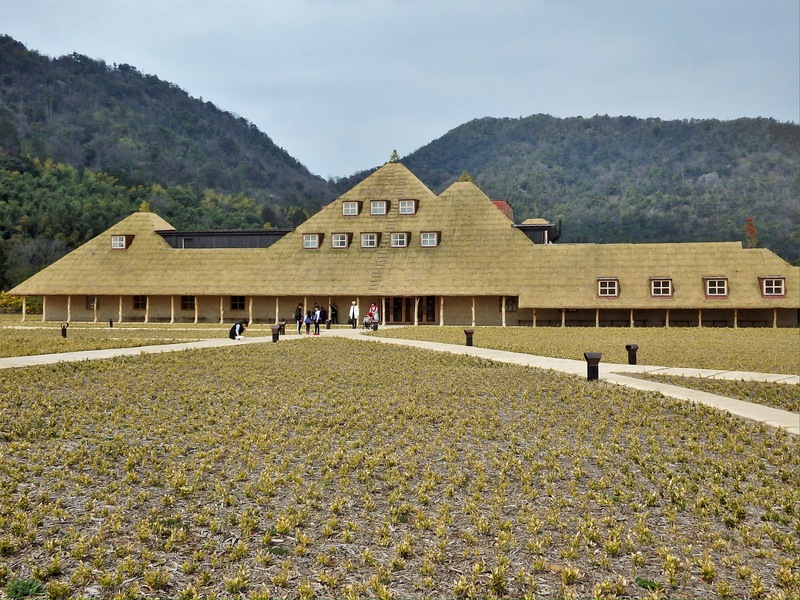 If you plan on staying in Omihachiman for more than a day, also consider visiting nearby Chomeiji Temple, Oki Island, and/or the sightseeing spots related to Azuchi Castle. 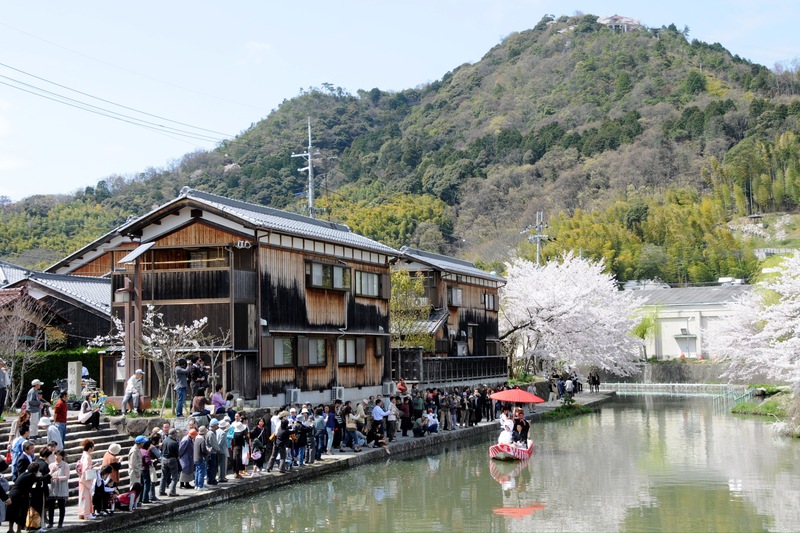 Omihachiman is at its most beautiful during cherry blossom season, however, this is also when it is busiest. *These are my ‘top 10’, but they are not in any certain order – take them collectively.